Since I was gone for a couple of weeks (more on that in a post later this week), we just now got around to celebrating Evelyn’s birthday. Evie had the idea to do a “murder mystery” party (you know, like most 8 year olds), but they strangely don’t make a lot of those for kids. Sara looked around online and found a company that makes kid-friendly equivalents. However, there were like 8 princess ones, and Evelyn said, “absolutely not” to that idea. So instead, we ended up with pirates. 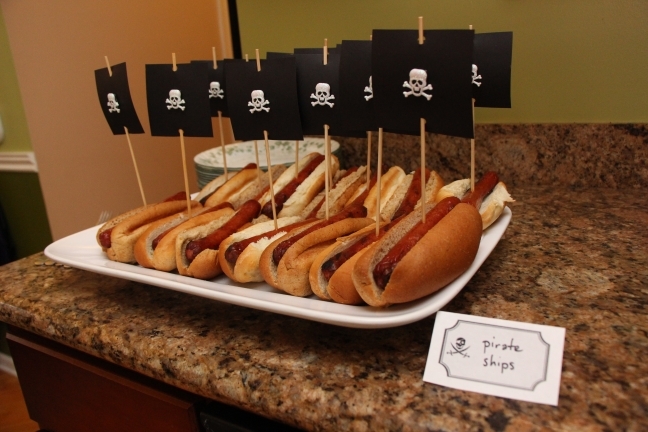 It turns out, hosting a pirate mystery party is a tremendous amount of work. 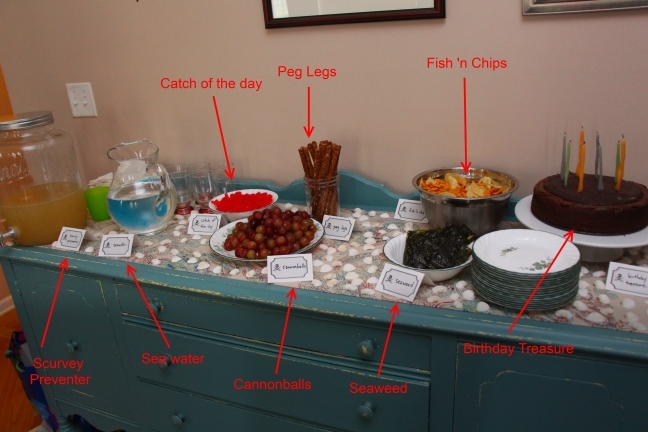 Not only do you have to prepare everything for the kit and come up with really awesome food ideas, you also have to deal with the fact that the company involved thought it would be a really good idea to have the scavenger hunt lead to rooms such as “the master bedroom” and “the main bathroom”. And you can’t just stuff all the mess in a closet or something because, hello, it’s a scavenger hunt, where do you think the kids are going to start digging first? So, yeah, lots and lots of cleaning. 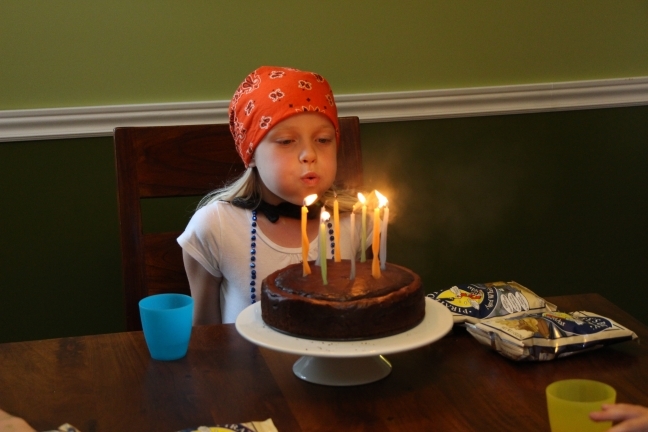 Of course, Evelyn also demanded a chocolate cheesecake, because it can’t be easy, right? Luckily we borrowed a truly authentic looking pirate chest for the grand finale (filled with Pirate’s Booty, natch). We gathered clues, solved mysteries, swabbed the deck, played pirate guessing games, and told pirate jokes, but when the kids found that pirate chest, they lost their freaking minds. 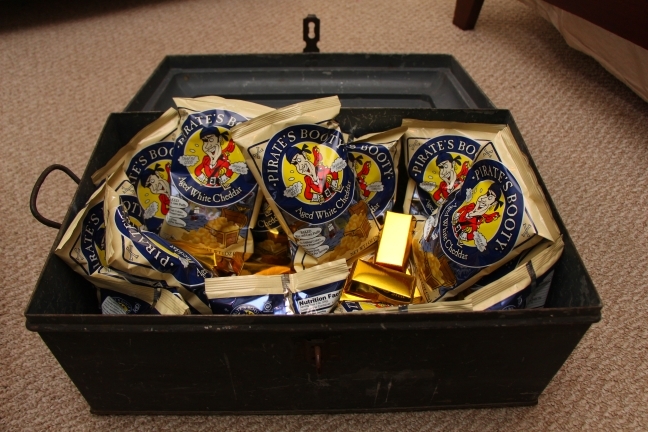 I doubt real pirates, with real gold, were ever so excited about finding a treasure chest. Or, if they were that excited, I bet their screams were not quite so high pitched. Despite the tremendous amount of work, I don’t think I exaggerate to say it was the best party I’ve ever given. Everybody had a blast (even the adults), and it lived up to all of Evelyn’s expectations (something that, needless to say, is difficult to manage on the best of days). So, now you’re living up to Evelyn’s expectations? Can I come to next year’s party?